When Connie discovers that Jimmy Diamond, her husband of more than twenty years, is planning to leave her for his office junior, her world is turned upside down. Determined to salvage her pride, she resolves to get her own back. 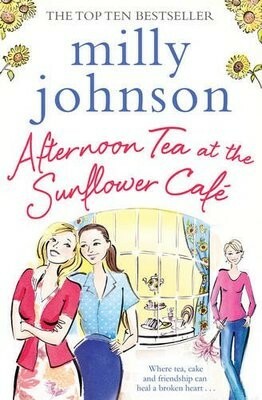 Along with Della, Jimmy's right-hand woman at his cleaning firm, Diamond Shine, and the cleaners who meet at the Sunflower Cafe, she'll make him wish he had never underestimated her. Amazing read. It is a nice simple read that supplies many laughs and fun moments. Throughout the book you really get behind the characters and cheer them one. Just brilliant! Fabulous read about fighting back and refusing to let the bad things in life win. A great cast of strong women and the battles they each fight. Highly enjoyable and a definite recommend.